Our job is to listen, then guide you by identifying the problem as well as the source. Here are a few reasons why you should visit us. Dr . Philip Kuo Sr is the founding doctor who established Medical Clinic Inc in 1977. A Honolulu Magazine “Top Allergy Doctor”, he is board certified in Allergy and Immunology. Dr. Kuo Sr has extensive experience in Hawaii’s nasal and ocular allergies, sinusitis, asthma, anaphylaxis, diseases of the skin and insect sting reactions. Dr. Philip Kuo, Jr. has published basic science research in immunology, and completed a combined MD-PhD in 2001. 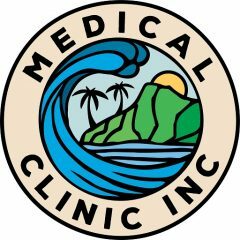 Board certified in Internal Medicine in 2003, and Allergy and Immunology in 2006, he has been a Honolulu Magazine “Top Doctor” since 2015. He treats nasal and ocular allergies, sinusitis, atopic dermatitis, urticaria, asthma, food/medication allergies and insect sting reactions. He has a special interest in helping free divers and SCUBA divers with nasal/sinus and respiratory problems. 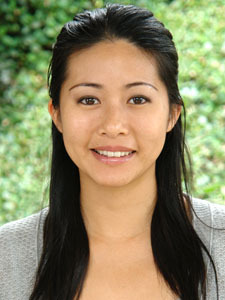 Dr. Myrna Kuo is board certified in Internal Medicine and has been practicing since 2008. She promotes prevention and understanding; not only treating the illness, but educating and counselling patients on changes – before their conditions affect their lifestyle. 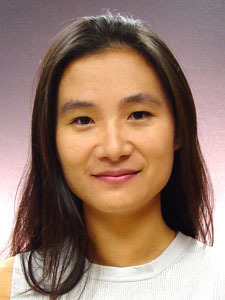 Dr. Sylvia Wang was born in Taiwan, grew up in Queens, New York City, and trained in Primary Care Internal Medicine at the highly respected New York University Hospital. Soon after finishing board certification in 2000, she opened her practice in Kailua and Honolulu. She is fluent in Mandarin and Cantonese. I have been suffering with unkown allergy for 6weeks. Itchy all over my body and when I finally met Dr. Kuo, he saved me!…He has PA now and she’s very nice. I get shots from her now. Very sweet doctor. Available to her patients and takes her time. Extremely competent and attentive. Also, I was very happy with all of her referrals to specialty docs. She was attentive and I didn’t feel that super rushed feeling when discussing my medical history. Although I’m thinking now of a bunch of things I forgot to tell her! She didn’t have a judgmental attitude towards me or anything I was telling her. Dr. Myrna has been my husband’s and my PCP since we moved to Honolulu 3 years ago. She is an excellent listener, very empathetic, and has excellent follow-through. We feel she is our friend as well as our primary healthcare provider. Her office staff are all kind and efficient. We would give her 10 stars if that were possible. I needed a Saturday appointment and Dr Myrna was the only doctor available. She was very nice, figured out my issue quickly, sent a prescription to the pharmacy and followed up two weeks later with my issue solved. I recommend her with out a doubt. My husband and I would strongly recommend Dr. Myrna Kuo to family and friends. She is an excellent listener with 100% consistent follow-up on open issues. I have some really weird stuff going on, and Dr. Myrna is totally honest about what she knows and does not know about my off-the-wall issues. My husband’s issues are more routine, and she keeps him in good health all the time. I have dealt with multiple chronic issues for over thirty years, and she has been very kind and patient.